Anna Wintour, Editor-in-Chief of American Vogue and Artistic Director Dame poses after receiving her Dame Commander from Britain's Queen Elizabeth at an Investiture ceremony at Buckingham Palace, London May 5, 2017. 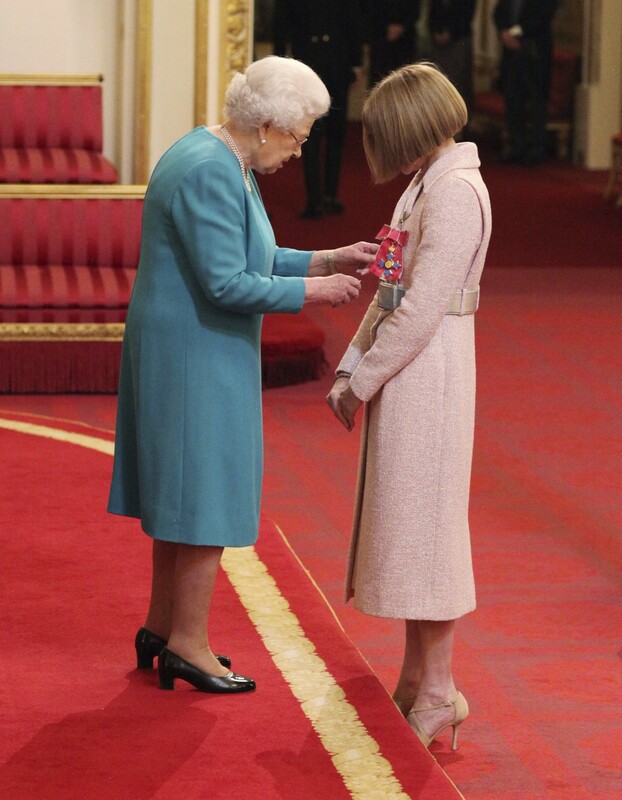 On Friday the 5th of May, Fashion’s most influential woman, Anna Wintour was made a Dame by the Queen of England herself. She received the honour at Buckingham Palace for her services to fashion and journalism. Faithful to her style, Wintour was seen in her signature bob haircut and oversized glasses. However, what everyone remembered the most was her pink belted Chanel suit. Queen Elizabeth seemed to have had some difficulties pinning the brooch on the fashion icon’s coat. Wintour, who was born in Great Britain, is now 67 years old. Raised in London by a British father and American mother, she was previously the editor of British Vogue before taking over Vogue USA in New York, which she has been ruling for almost 30 years. She has managed to make the magazine one of the world’s most famous fashion publication. Before having the honour of being a Dame, Wintour was the main inspiration for the character “Miranda Priestly” in the Devil wears Prada, played by Meryl Streep. The movie was first a book written by Anna Wintour’s personal assistant, Lauren Weisberger. After that, in 2013, Wintour was named artistic director of publisher Conde Nast. The woman we also call “Nuclear Wintour” or “Ice Queen” just never stops to impress us. Only a week ago, the famous Met Gala took place in New York and was organized entirely by her. Wintour is just an image and inspiration for younger generations of a hardworking, fashion influencer and commentator.